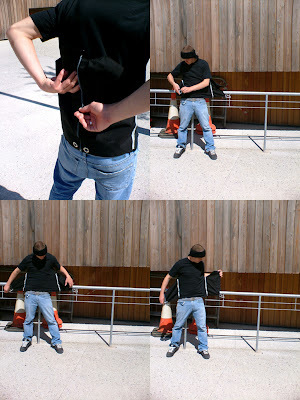 Steel eyelets located on the base allows the individual protester to connect to local environments. 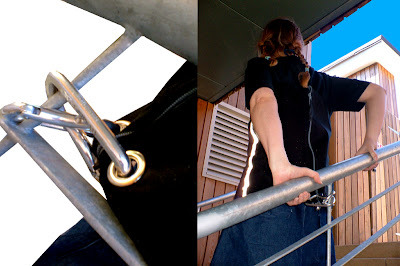 Railings, gates, tree, street furniture through quick installment carabiners. "...connecting to architecture to form a chain, weaving a social link and physical bond with surroundings and people..."